Rather than update my previous post I decided to create a new post with more information about the fascinating, intense and emotional day we spent yesterday. 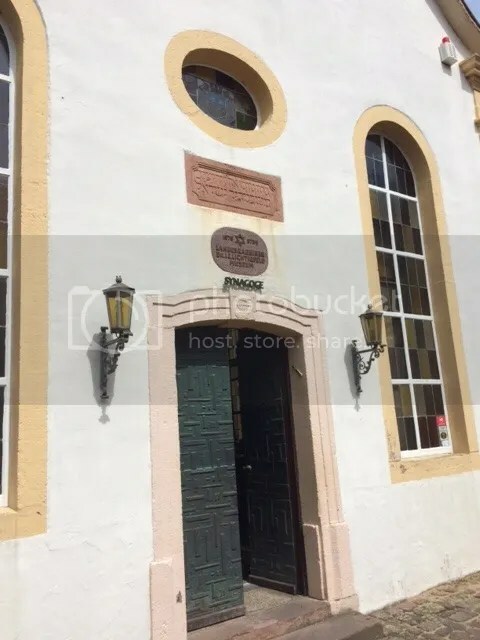 Going back to our visit to the shul, (which I mentioned in my previous post) it was explained to us that my grandparents, together with my mother, her brothers and her younger sister, lived in the house right next door. The stairs up to the women’s gallery of the shul led from outside the shul up to the gallery, and at the top there were two doors: one led into the women’s gallery and the other into my grandparents’ apartment, which no longer exists any more. It was a very moving moment to realise exactly where we were standing. 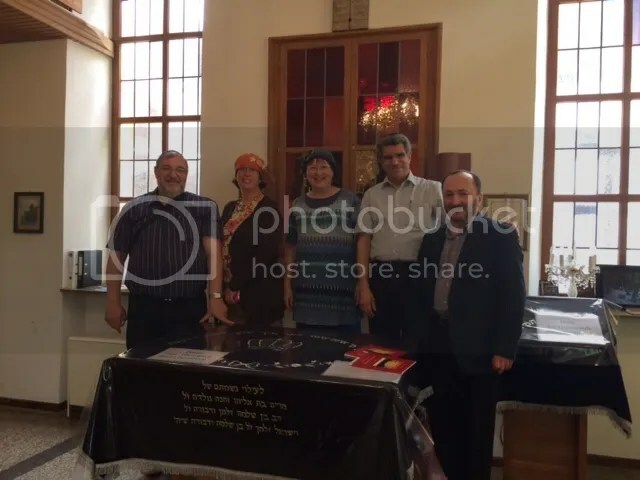 The shul is mainly a museum now, though as the Chazan, Roman Melamed, explained, there is a Shabbat service once a month, though usually without a full minyan, which is really very sad. In the Aron Hakodesh, the Holy Ark, there were 2 Sifrei Torah (Torah scrolls). One was not kosher for use any more but the other one was brought by the Rabbi of Leipzig some years ago. 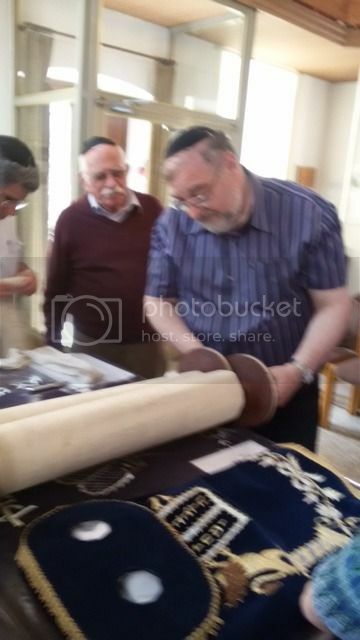 The Chazan and caretaker agreed to take out the Torah scroll on condition it was read from, so David and my husband readily agreed. We were all quite emotional as the Torah scroll was opened and we saw that the passage it landed on was the Ten Commandments. How appropriate! Surely this was a sign from Heaven? David duly read the piece while we looked on, and once again experienced the acute hand of history on our shoulders as we remembered that our grandfather had stood on this very spot and read the Torah right there. We all had the strong feeling that our grandfather was watching down on us from Heaven. We hope so anyway. 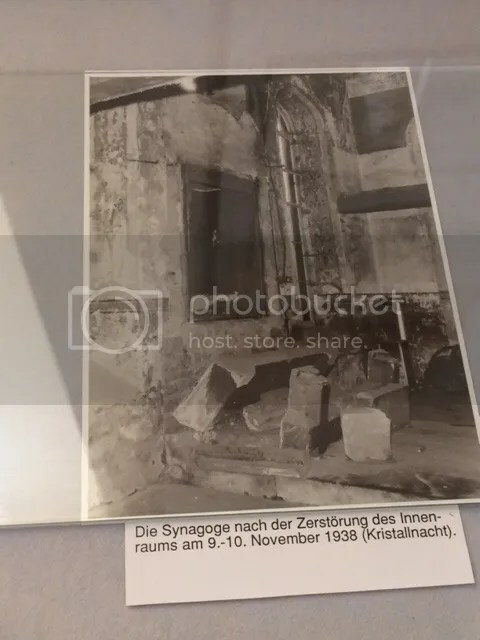 The synagogue itself was not destroyed on Kristallnacht, merely damaged, but it has been lovingly restored, even though it is not in proper use any more almost at all. 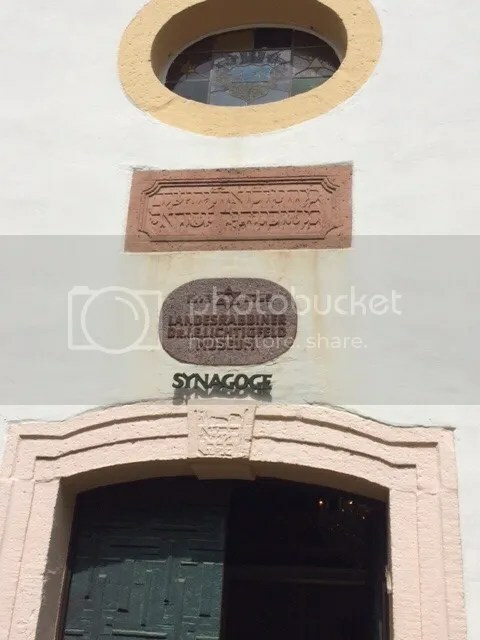 Otto and Klaus drove us out to the Jewish cemetery of Michelstadt, a beautiful, picturesque place situated on a forested hillside. There are a small number of gravestones dotted about the hillside, but obviously these are not all the graves there. The place was destroyed by the Nazis during the Shoah, and has been reconstructed as best as the locals could manage. 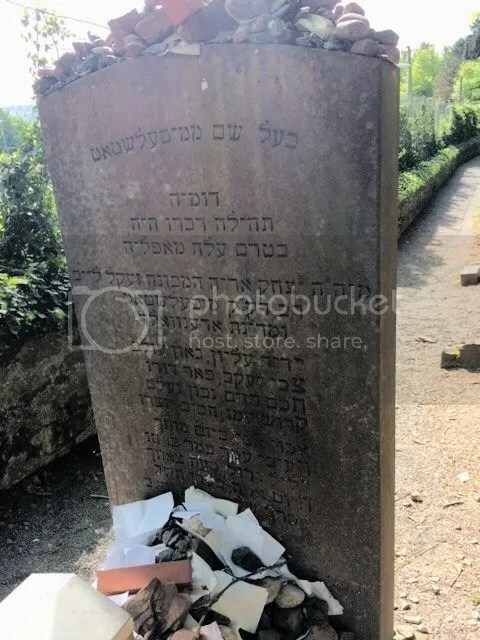 Even the grave of the Baal Shem himself was damaged, and it too has been repaired. We were extremely moved to see a flower and a stone on every gravestone in the cemetery with a message in Hebrew: “We apologize for all the evil that we did to you”. 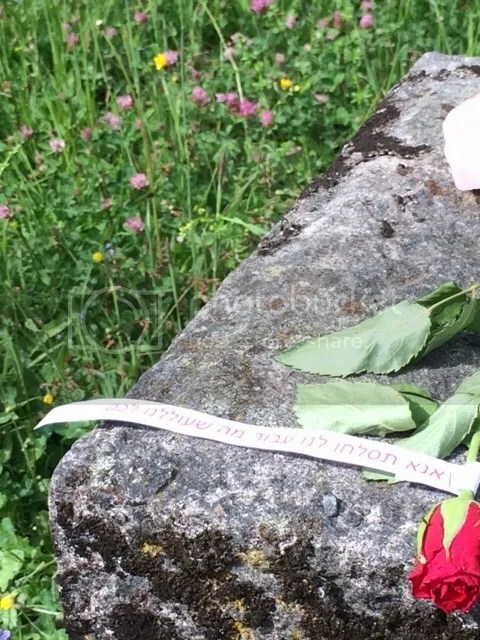 No one knows who carried out this initiative but it is clear that they wanted to apologize and show respect both according to Jewish custom – by placing a stone on the grave – and according to their custom by placing a rose. We said our prayers for refuah shlema (complete recovery) for several sick friends and relatives and hope that the Baal Shem’s miracles will continue to work from Heaven. Following that intense day, after our short visit to Erbach with Brigitte Diersch, we concluded with a very pleasant supper (with our kosher food) at Otto and Heidi Haag’s house, together with Klaus Schimmel. The atmosphere was very convivial, the conversation stimulating, and the laughter and emotions ran freely. Today (Tuesday, day 3) was another very full day with a wonderful conclusion but that will have to wait for my next blog post.